Join us on June 9th for networking event and a chance to get to know other Toptalers from your town! 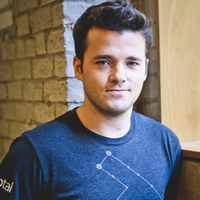 North American Community Lead, Ethan Brooks, will be there along with Toptal’s Community Leader in Charlotte, Garren DiPasquale. Please RSVP on this page to give us an accurate headcount, and if you have further questions, feel free to contact Ethan.